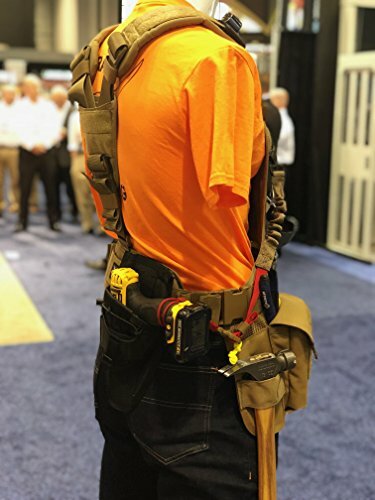 We are proud to introduce our greatest designed tool chest rig yet, the JourneyMESH Chest Rig with Cargo Pockets v2. 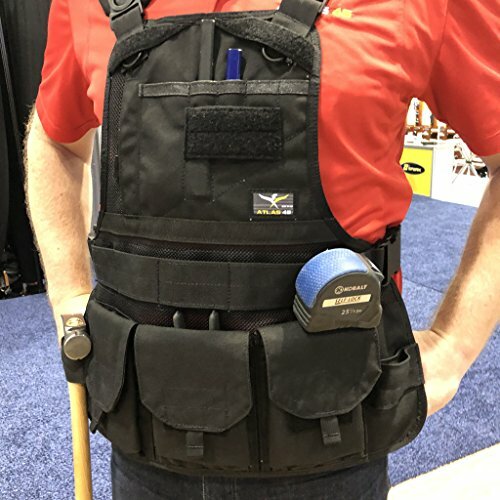 Featuring all uniquely designed swivel buckles, larger pocket design, better expand ability, 3 point shoulder pad system, more mid section flex, expanded front pocket design, new reversible bear claw cargo pockets, seamless music cord button hole and much more. 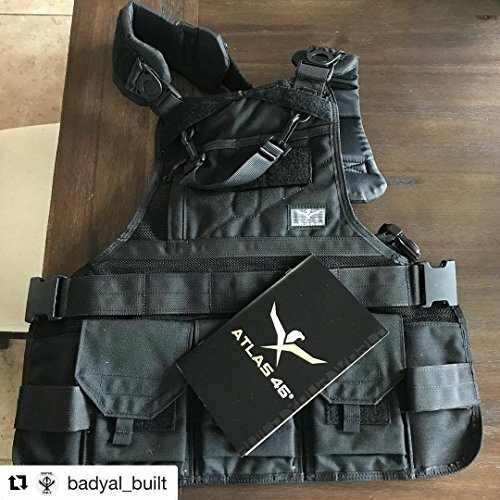 SIZE: 10.5"w (top) - 23.5"w (bottom) x 20.5"h, 32" - 50" Waistband DURABLE: Rugged 1000D Cordura construction. Full fabric construction for better coverage from spills and debri. 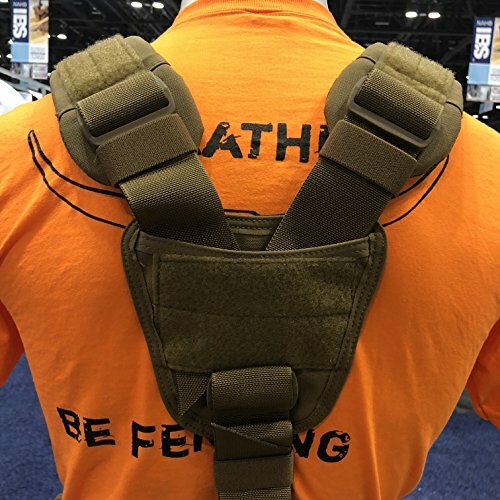 Padded shoulder harness straps built for comfort. Slotted webbing for attachment of add on AIM System pouches and platforms. 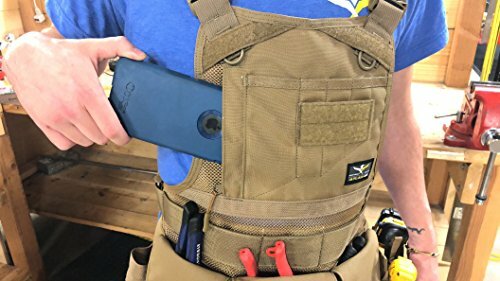 VERSATILE: Pockets on inside of chest rig for gloves, rags, etc. Swivel clips that allow 1.5" of mobility is each direction. Spot for heating and cooling packs. Adjustable back and waist straps for a secured fit. Seamless and larger zippered pocket for a notepad or cell phone with headphones hole. CUSTOMIZABLE: Dual hammer loop with AIM webbing on each hip for preferential carry or customization. 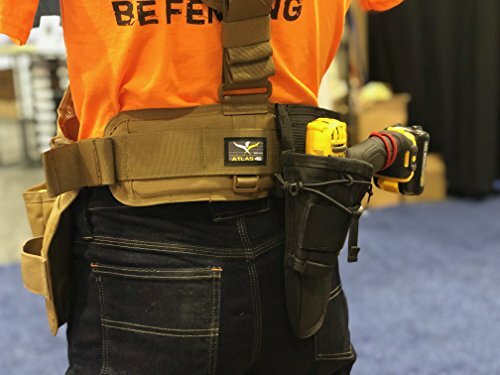 Capable of using the Harvey Padded Tool Belt Strap. Loop on padded shoulder harness for suspender attachment. New expandable triple front cargo pockets with slip pockets behind and covered flaps. Atlas 46 offers a variety of attachable add ons to your vest to improve the quality of your work. 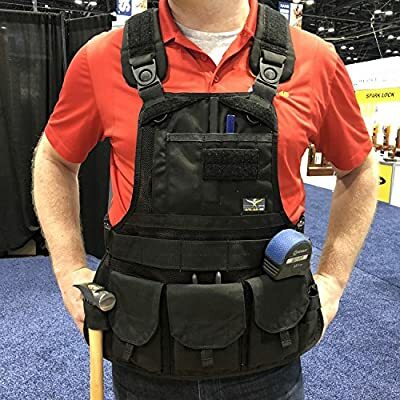 This includes tool holsters, pouches, and magnetic strips. Sold Seperately. 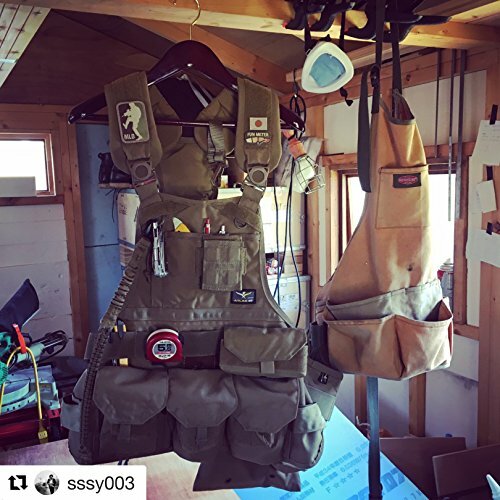 PREMIUM CONSTRUCTION: Hand crafted and Made in the USA.